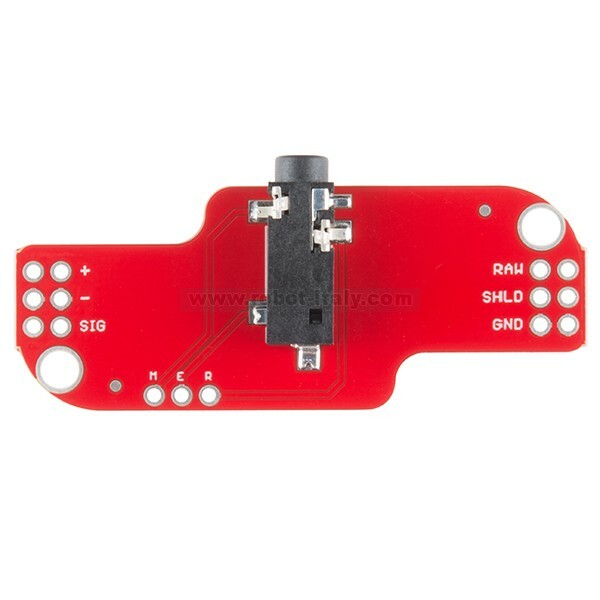 This shield provides a 3.5mm jack where you can attach a three electrode sensor cable allowing you to test and use the MyoWare Muscle Sensor without actually attaching it to your person. 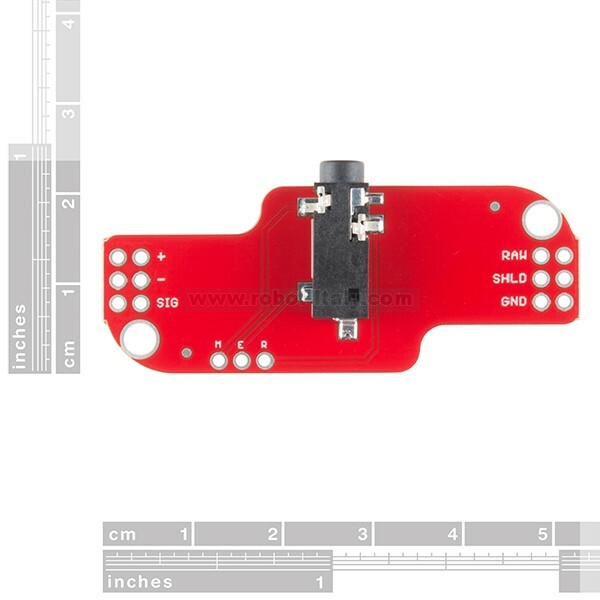 The MyoWare Muscle Sensor is now designed to be wearable allowing you to attach biomedical sensor pads directly to the board itself. However, there still may be cases where you want to mount the sensor pads away from the other hardware, this is where the MyoWare Cable Shield comes in. 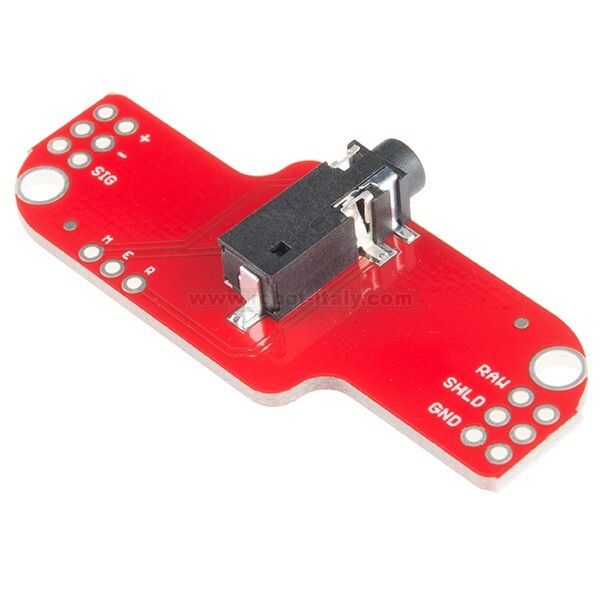 This shield provides a 3.5mm jack where you can attach a three electrode sensor cable allowing you to test and use the MyoWare Muscle Sensor without actually attaching it to your person. 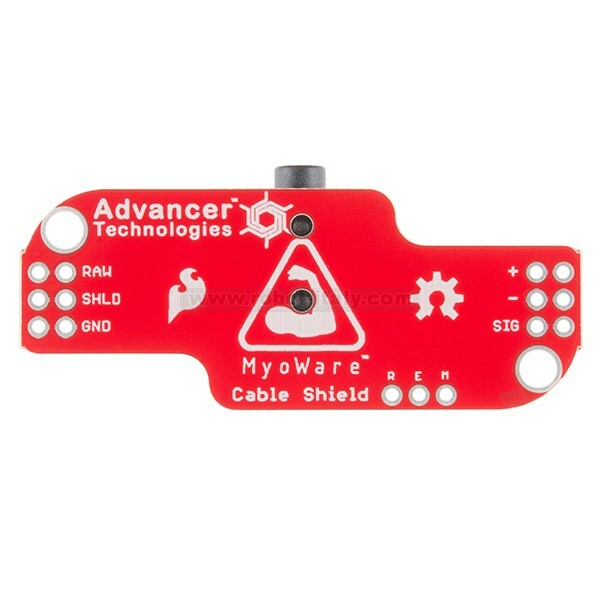 The MyoWare Cable Shield is equipped with two rows of 3-pin plated through holes on each end of the board. This allows for standard 0.1" headers to be used to stack the shield with other MyoWare boards.